Hidden away, nestling at the south corner of Sri Lanka, infamous for its bluely beaches unwillingly to resist, Buckingham Place Tangalle is your paradise sanctuary by the Southern Coast of Sri Lanka. Buckingham Place Tangalle is your perfect getaway and safe haven entering paradise, recreating timeless and luxurious boutique hotel experience. Just before we can get into any detail as such here’s the most capturing detail of all, The NAME! Is it Buckingham Palace? Is it a palace at all? Is it English? What is with the name anyway? Whoa! Whoa! Hold on … Let’s get you started with Nick Buckingham – whose dream is now a reality with Buckingham Place, a stunning boutique hotel that came into life in paradise Sri Lanka. Nick’s forever lust wandering around the enchanting tropics of Sri Lanka, resulted in picking the little of a location half hidden at the corner of a southern coast. What is most awakening is how Nick is now settled in Sri Lanka where he always thought he belonged and living his dreams in his safe hide away inspired by the beauty of Sri Lanka and the good –heartedness of its people continue to feed the soul of Buckingham Place –says Nick. This in fact is as authentic as it can be. Entering through the gates of Buckingham Palace is as pleasing as it is and maybe you could call it one of the most romantic stays ever with its luxury enveloping the entire premises and its impeccable bespoke services. The sixteen bedrooms and suites stretching across the premises of Buckingham Place, are vast and designed with tropical luxury in every detail. The most basic rooms in Buckingham Place are in fact the three Balcony Bedrooms, then comes the four Extra- Large Bedrooms, four Extra Large Suites, four Garden Suites and one Honeymoon Suite unfolding the best romantic experience at Buckingham Place Tangalle, with bathrooms larger than many hotel bedrooms, fine toned cement and white furnishings. And Yes! If you haven’t seen the bathrooms, its pretty spoken of by many for its unique outdoor spacious yet private space inclusive of the circular bathtub in every room and sky lit showers embracing the paradise vibe. 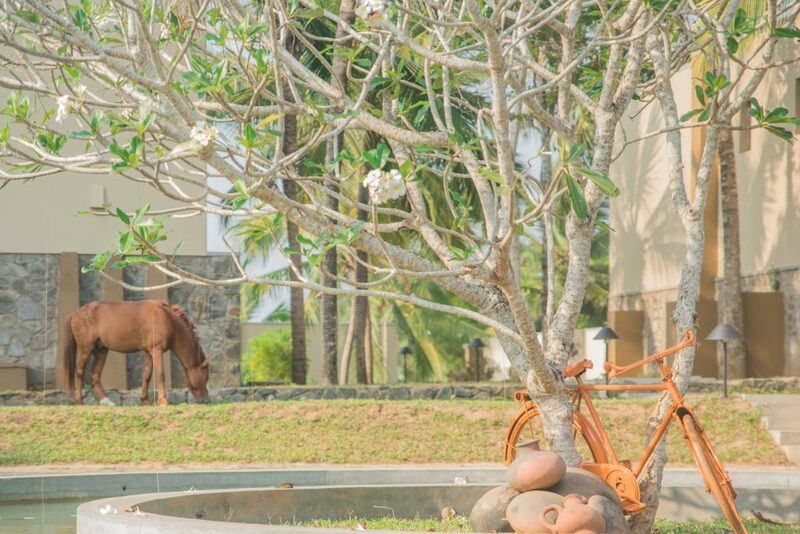 The complementary lagoon views are perhaps endless and you could watch dusk folding in to dawn at Buckingham Place Tangalle with wild life uncovering from the premises. Buckingham Place is a sanctuary you would long to stay I bet, on your short holiday to our paradise. There’s also a small indoor bar and lounge area in Buckingham Place Tangalle , for coffee and drinks as well for light meals and snacks by the pool area to just relax and chill! 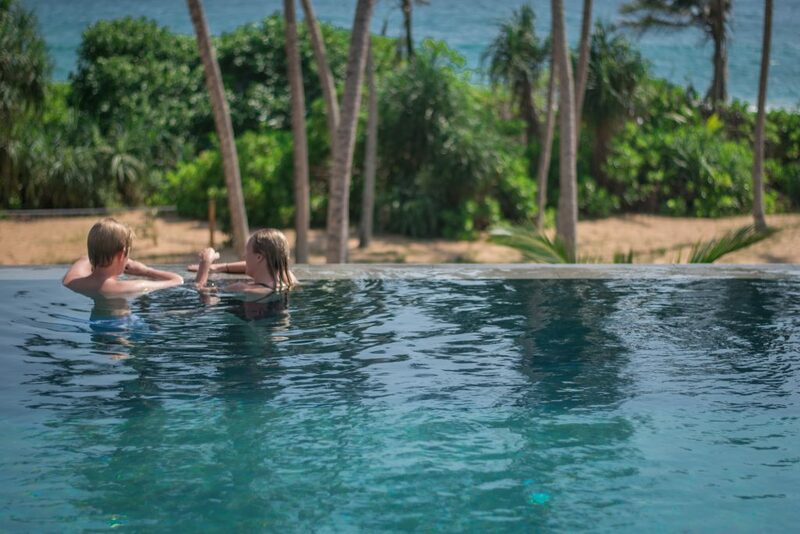 The main 33m infinity pool overlooking the spectacular Indian Ocean within the Oceanfront facility, Buckingham Place Tangalle also offers a second, more romantic, intimate and private pool for couples or even small groups. Yes! 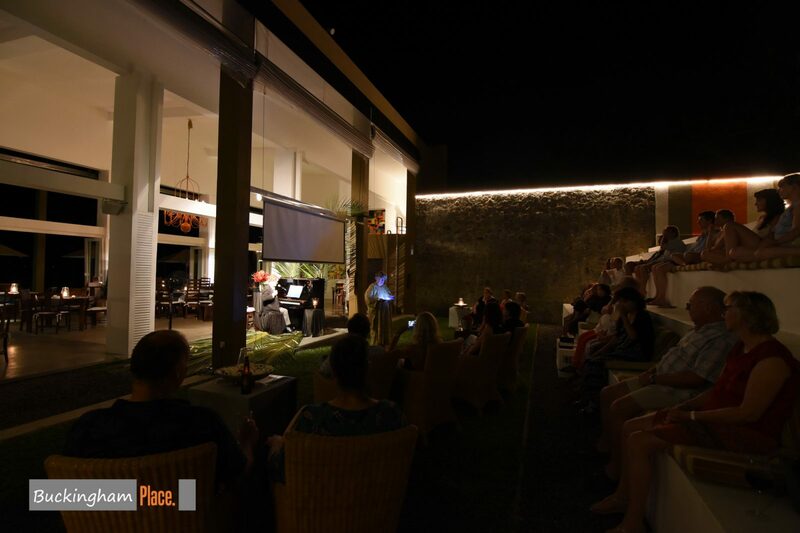 You heard it right, Buckingham Place Tangalle offers you, indeed a fine and darling escape for an outdoor theatre experience. It is a stage designed for special occasions and performances and also a place to explore the talents of Buckingham Place’s own guests. 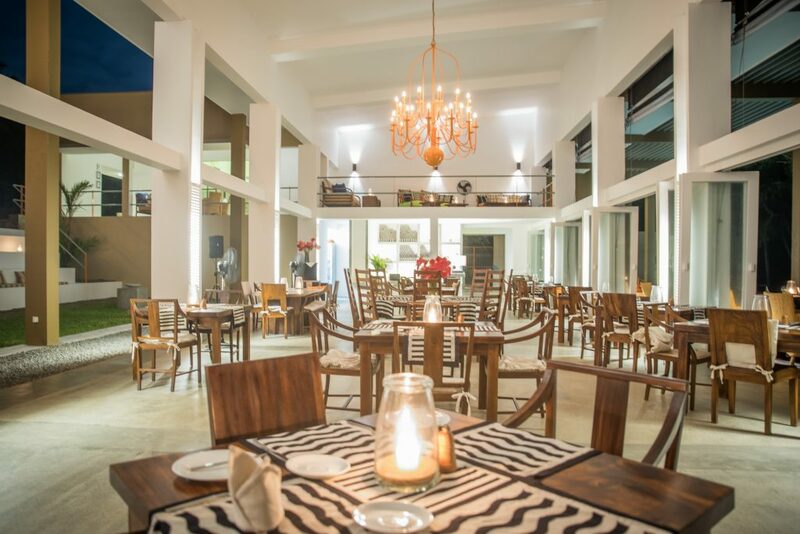 It is also the perfect intimate venue to grab your Harry Potter book while sipping on (butter) beer or cup of coffee to indulge in the magic of your own and seclude yourself in your imaginary world. Lower Beach Garden is your beach escape recreated by Buckingham Place Tangalle, perfect to sit by the mangroves and coconut trees and let it go! Let it go! Sit back and relax! Interestingly the Nature Garden, is a space rather get you thinking and encapsulated in the moment. 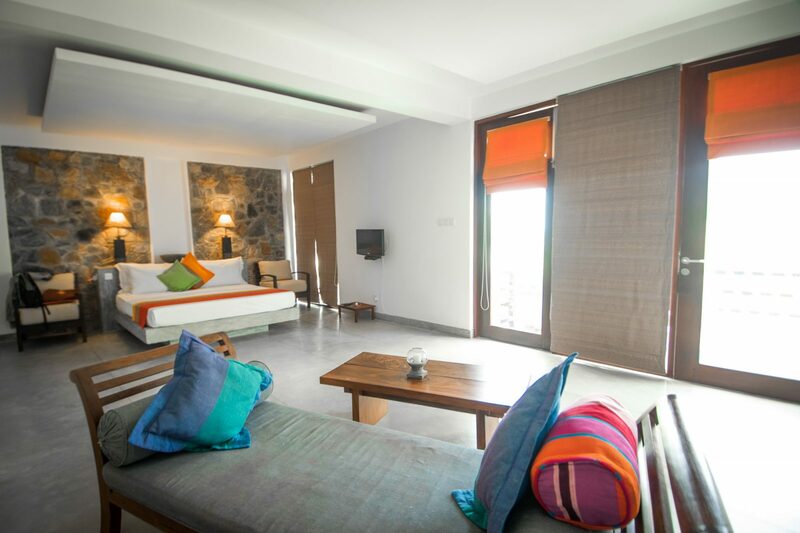 As you pick your favorite spot to wine down either under the sun or under a leafy shady tree, Buckingham Place Tangalle will create your bean bag and cane lounge instantaneously. How can you ever get enough of Buckingham Place Tangalle; peacocks at your window in the morning, monkeys swinging from the trees, fresh fruits and coconuts galore, a little pony wandering around the hotel grounds, and the endless ocean for salty hair and perfect tan lines. Plan your engagement to your honeymoon or maybe your short holiday hand in hand with assistance of us, @www.bluelankatours.com here in our paradise island at the best of boutique hotels, and we will assure you unforgettable memories in Sri Lanka.